After much hemming and hawing and wavering and flip flopping, the Smooches settled on a bird theme for this year’s Halloweens costumes. 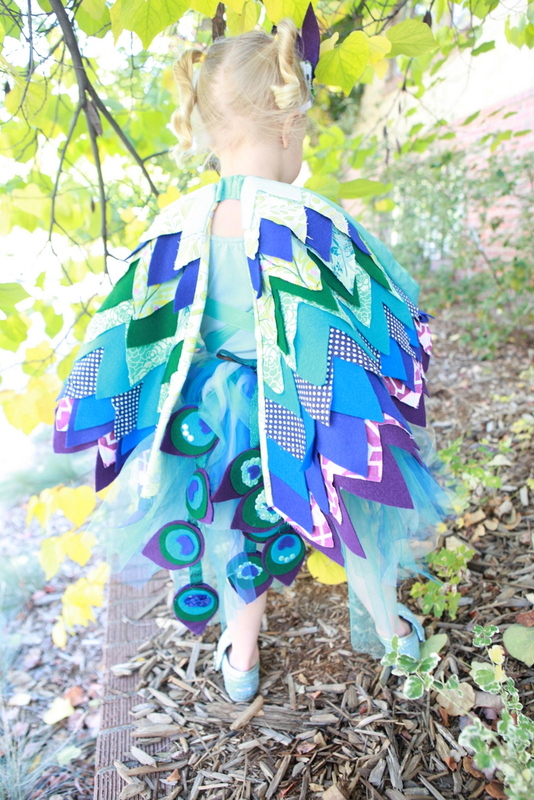 I think seeing the princess-y peacock costume at Pottery Barn Kids might’ve been the deciding factor for Piper. Throw in Burke’s passion for raptors (birds of prey for those of you who don’t watch Wild Kratz) and the fact that their baby cousin Josie can join them as the mini-est owl and this costume theme gets even better. 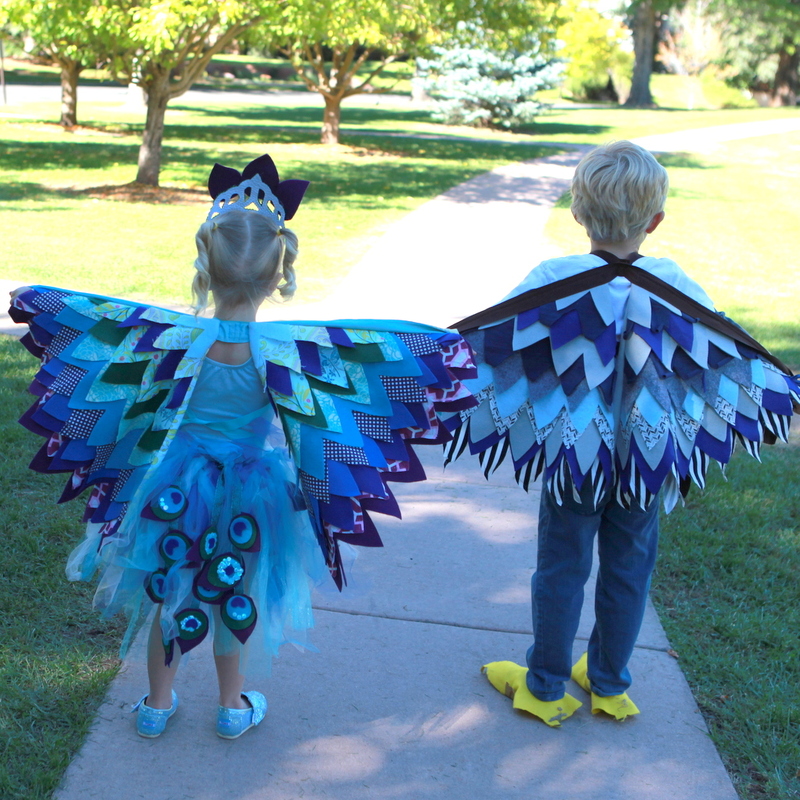 Since I have been pining over these loveliest of wings for some time, just waiting for a reason to make them, I was more than happy to jump on board with the bird theme. 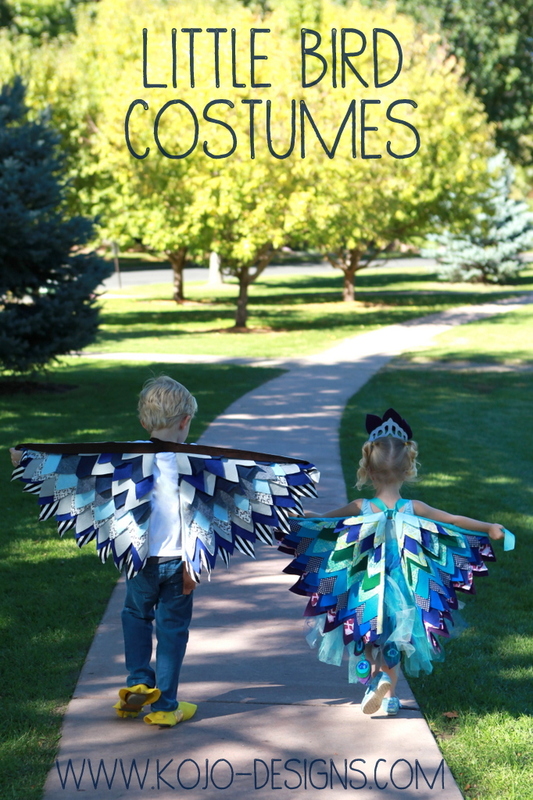 Not only do these wings make some oh-so-fabulous costumes, I fully see them taking up residence in the dress up box after October 31st. 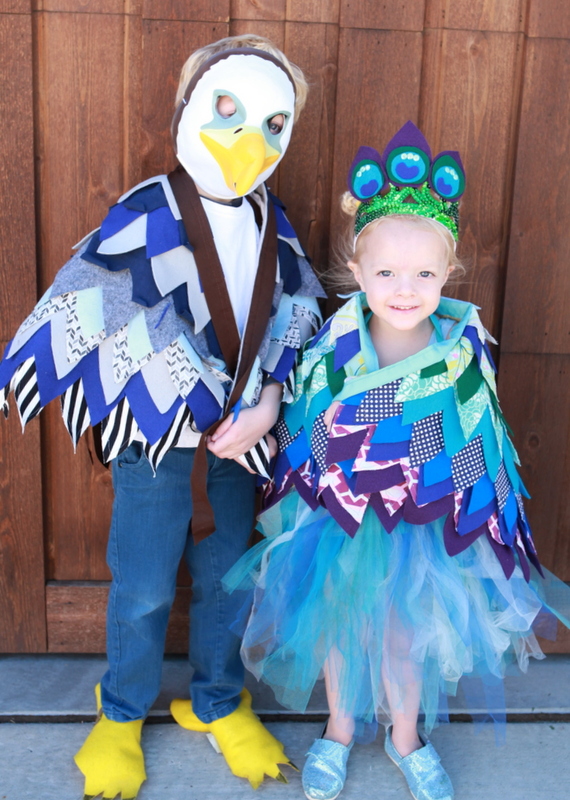 Trick or treating, this little peacock and eagle (and their teensiest owl cousin) are ready for you. ps- Last year’s squid and ocean costumes are here and 2011’s Curious George and Man with the Yellow Hat costumes are here. I think that if we lived near each other our kids could be friends. Besides that we both did C.G. and the man with the yellow hat in 2011, we also watch lots of wild kratts. 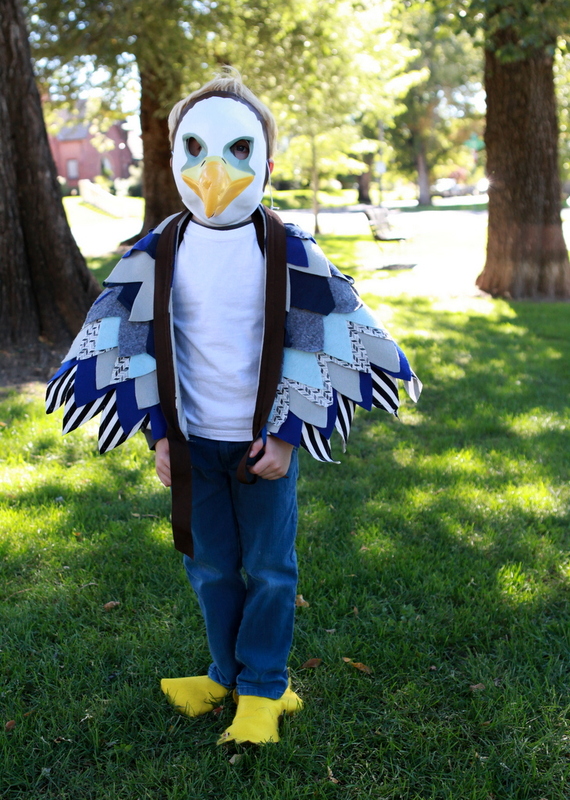 Micah’s latest plan for halloween is to be a woodpecker….where did you get Burke’s mask? 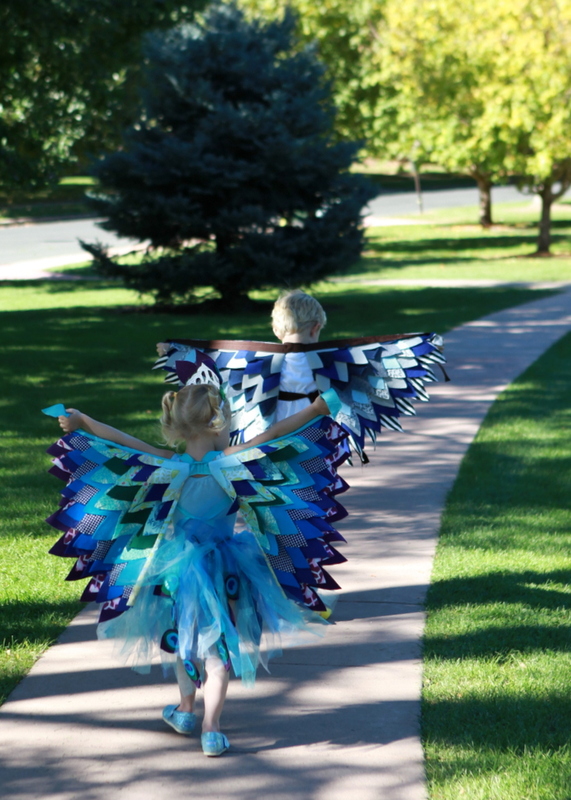 Kirstin, their costumes are so cute! You are such a talented momma!! 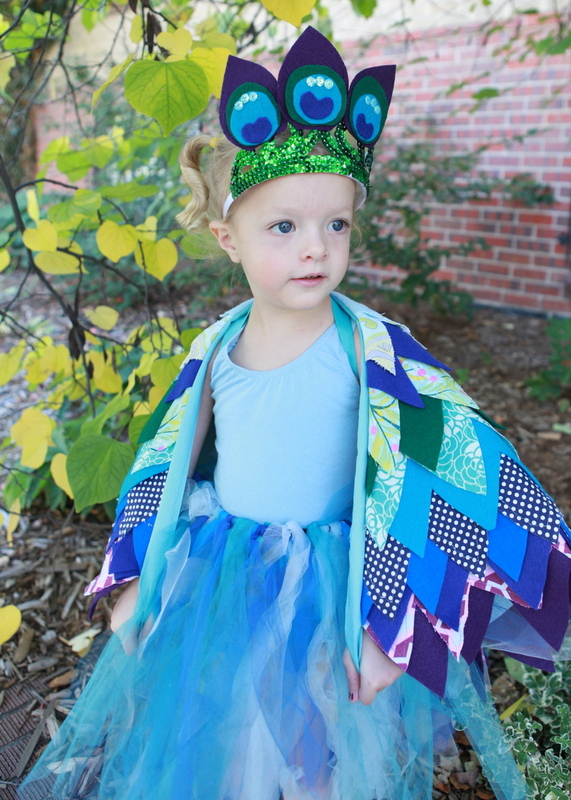 Kirstin, I happened on your site by chance as I am searching for a costume design for my daughters play coming up soon… Wow!! 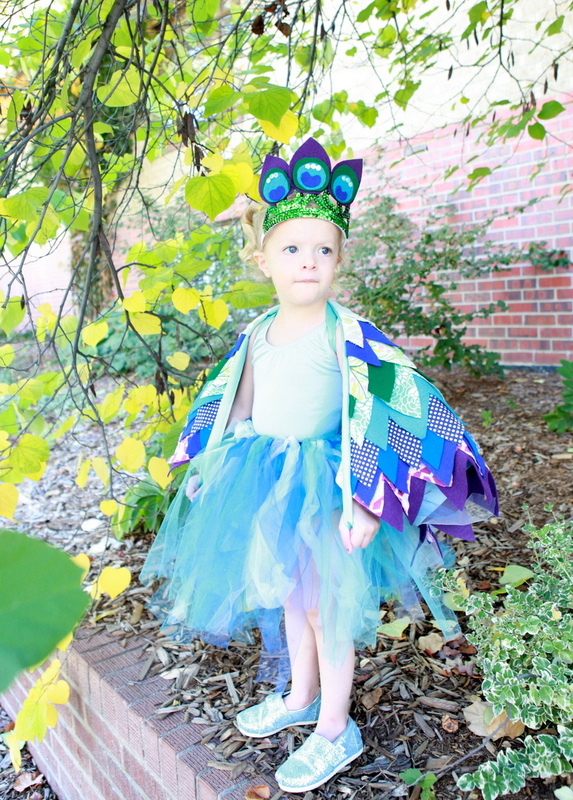 This bird costume truly is lovely. Is there any way you would share some of the design with me? It “looks” simple, yet elegant in both design and structure. But I have a feeling that I may not exactly understand how you cut out the “feathers”. Are they in a row or in pieces sewn together to make a row? Or is it some other beautifully creative design? However it is done, it is eyecatching… Well done. Her instructions are easy to follow, and you’re right, the finished product is fantastic! Hope that helps!